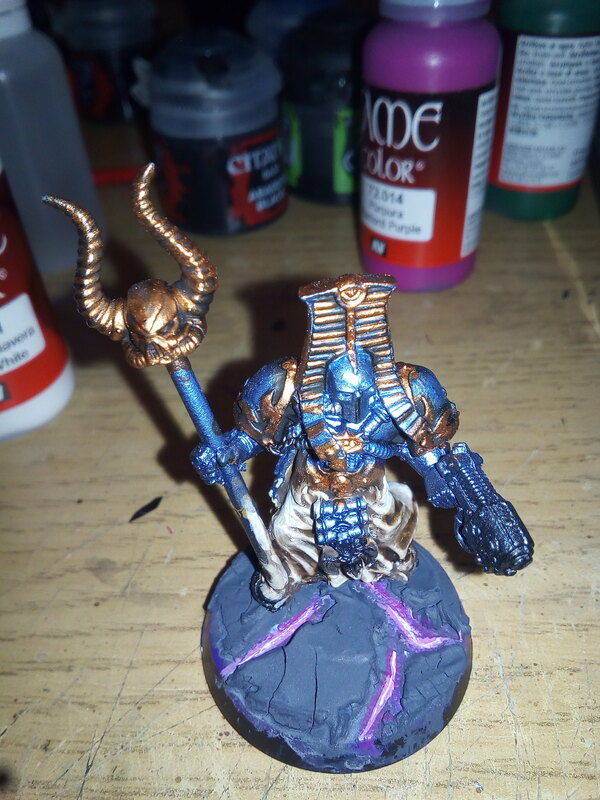 So having seen a few tutorials for crackle bases and lava, bought some black crackle paste and had a play. Decided to change from the lava. Aiming for a world lost in the warp, slowly being ripped apart. In my head they have found a lost eldar library, world lost in the warp and they have just been pillaging for knowledge. Couldn't get it to crackle to show the paint beneath so went with another approach. Contrast seems to have washed out a bit, but hopefully it comes across ok. The model is the test piece I used, not the final ones. When I do the real ones will need to put spacers under their feet so they stand on the crackle, not sunk into the lava-esq bit. Black crust needs some drybrushing, and some more details to be added on the real things. Larger models will have ruins, heads coming out of the floor/purple bits, etc. A chain axe is the best way to win an argument. Didn't realise how long since I'd done an update! 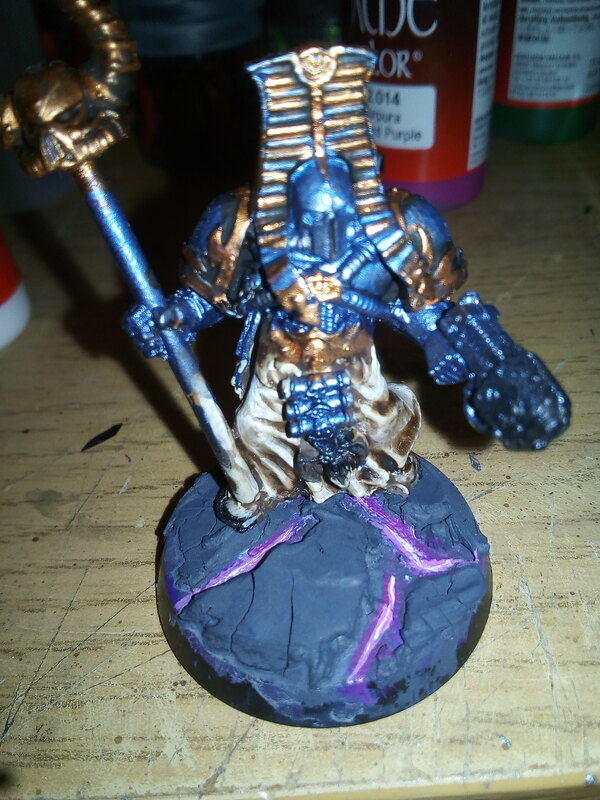 Finally found an approach that worked for the bases. Rebased all the marines and all 48 cultists. Ripped up cork, painted very dark grey (almost black). 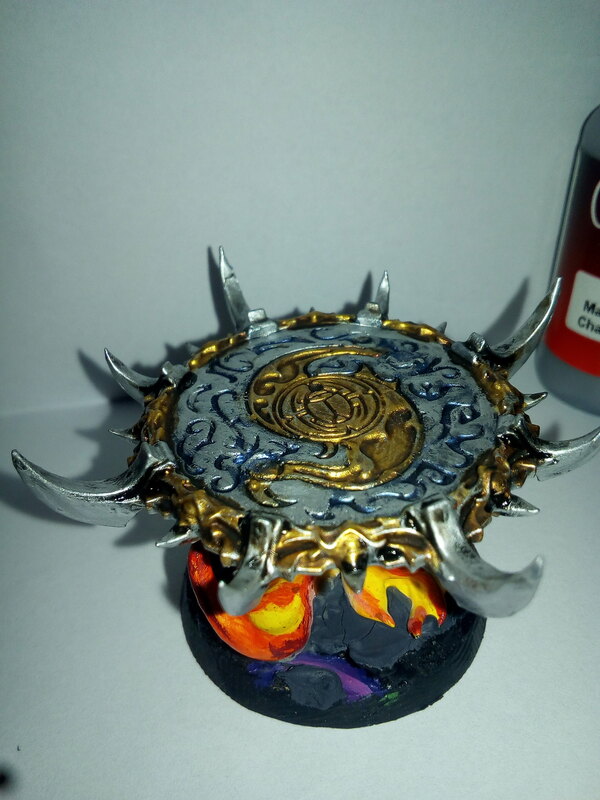 Pins on base to take model, crackle added and model stuck on whilst crackle still wet. 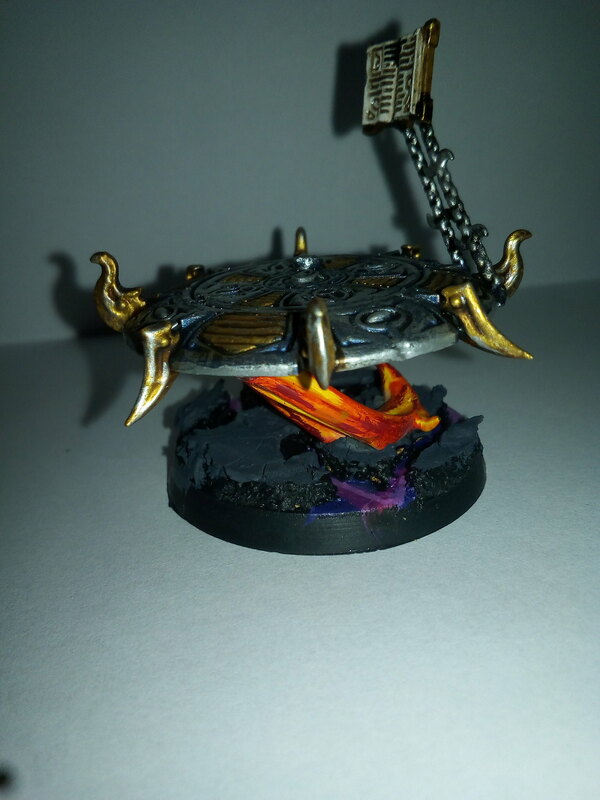 Also been working on some discs for Ahriman and an aspiring sorcerer. 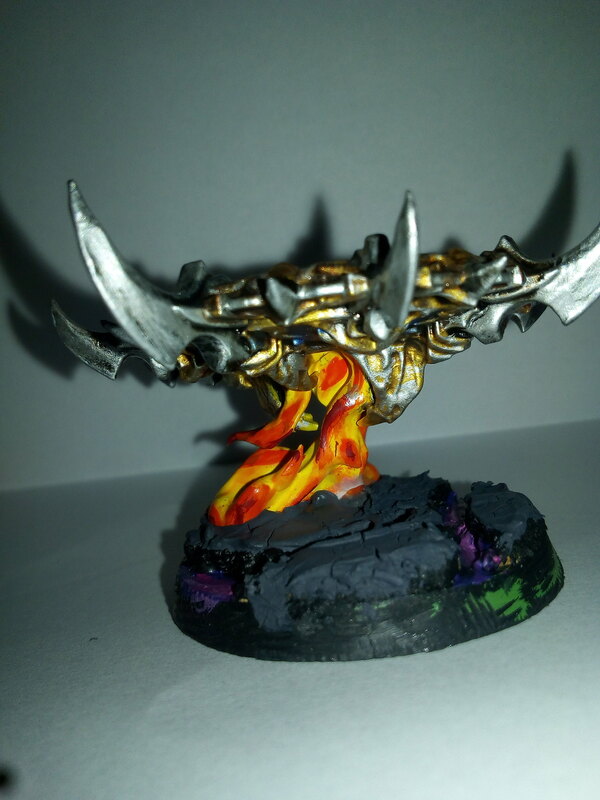 Really pleased with how the flames came out, first time I've done them. 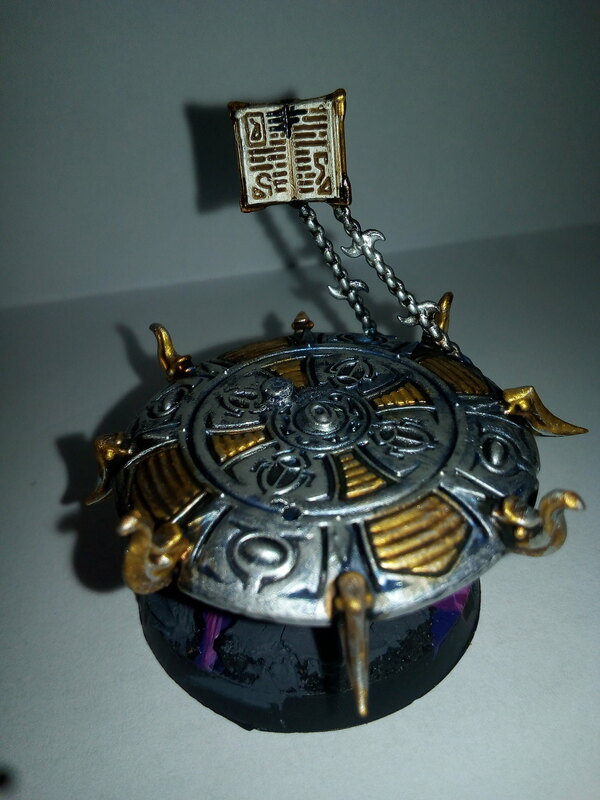 Need to tidy up the book, and the pics have show some touch ups needed on the bases. The pics were taken just after applying the crackle, so it needs to dry and do highlights and shading. On the work bench is a fully magnetised helbrute and the sorcerers for the discs. Also got a few more bezerkers and warp talons to finish off my world eaters stuff.